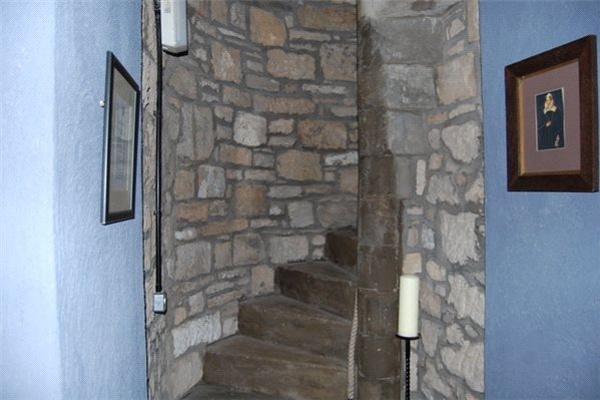 A STUNNING 650-year-old Castle Tower House is available to rent – complete with it’s own resident ghost. The Wallace Tower forms part of Sundrum Castle in Ayr – and at only £1,300 per month boasts a picturesque river waterfall and tennis court. 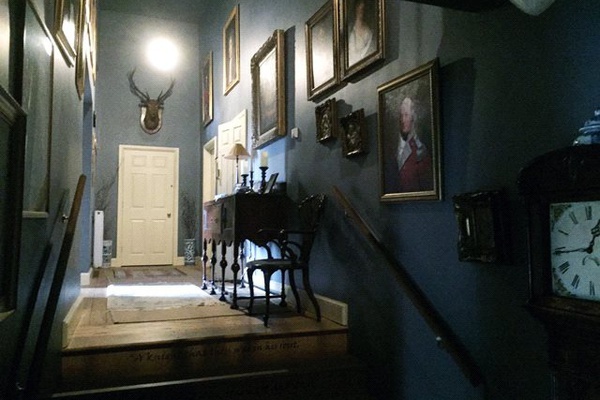 The landlord and former tenants have said they felt a “ghostly presence” in the Tower over the years, but it is not known who the alleged apparition is meant to be. However, the breathtaking 85 acre estate dates back to the wars for Scottish Independence when it was declared forfeit to the crown. Sir Robert Wallace, a relative of freedom fighter Sir William Wallace, was appointed Sheriff of Ayr in 1342. His son Duncan later commissioned the building of the castle in the 1360’s. The Tower, which sits separately from the main castle, has four double bedrooms, three bathrooms and a rear private terrace overlooking the river valley. The historical property also boasts original features such as a baronial great hall, grand dining room and a stone spiral stairway. The entrance to the castle leads to a working guardroom, where below lies a now sealed up pit prison. Estate agents Galbraith describe the four-bedroomed tower as a “truly unique property situated within a delightful estate”. 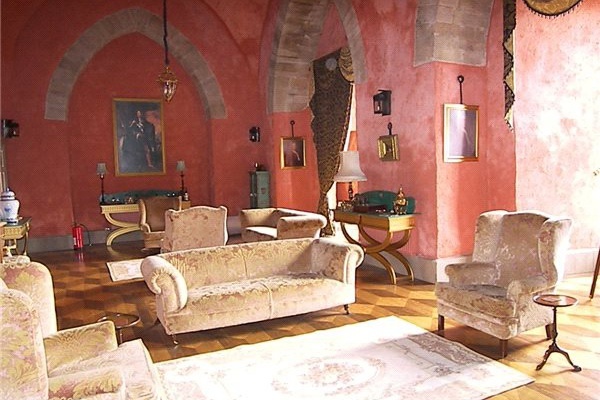 Stunning images of the property show high ceilings, original cornicing and four grand reception rooms – offering tenants the opportunity to feel like royalty in their own castle tower. 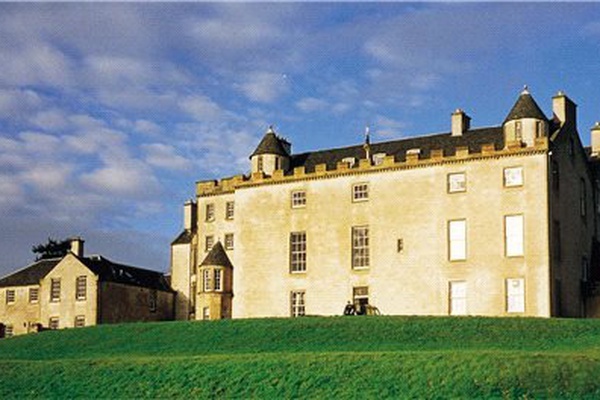 The current owners, Graham and Patricia Cathcart Waddington, advertise the tower on the Sundrum Castle website, writing: “A superb private residence available to let for a minimum of one month up to a maximum of three years. 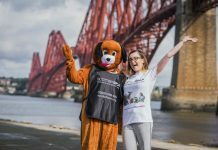 Further details on the website state: “The Wallace Tower incorporates the original castle built for Sir Robert Wallace of Sundrum. It offers a delightful comfortable home set in elegant parkland, within minutes of the coast and scenic countryside hosting some of Scotland’s finest championship golf courses. “The 12 feet thick walls are steeped in history and yet the ancient staircase accesses a warm, comfortable and supremely elegant family home, furnished in a style true to its period but with all ‘mod cons’. The Wallace Tower was originally built with only narrow slits for windows to light the ground floor and the basement only. To the north of the castle is a steep slope which falls into an enchanting wooded valley – where the Water of Coyle runs via a spectacular waterfall. The property has been listed as fully furnished for £1,300 per month.